I was amazed at all the great responses to my post last week where I shared about some health issues I have and how I'm working to improve them by embracing a ketogenic diet and lifestyle. I say embracing because, quite honestly, I went into this full of skepticism. But after meeting with a nutritionist and doing a ton of research I can truly say I am embracing my ketogenic way of life. The first thing I was told by the nutritionist was to take everything I thought I knew about healthy eating and park it right outside the door. This was going to be different, and boy howdy, she wasn't kidding. The best way I can describe my experience is that you take the food pyramid, chop off the bottom and literally turn that puppy completely upside down. No joke. 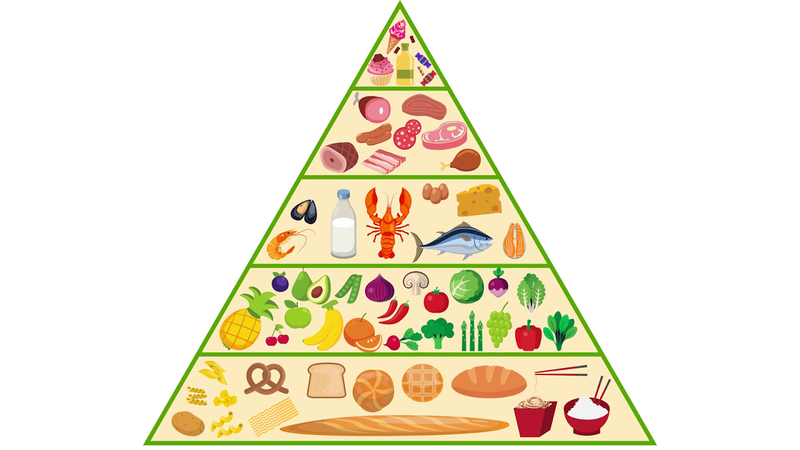 So why does the old food pyramid even exist? Well, because during World War II, when food was rationed, meats and fats were needed for the war effort and were shipped overseas to feed the troops. Things that were more readily available on the homefront were grained based and would "fill you up". 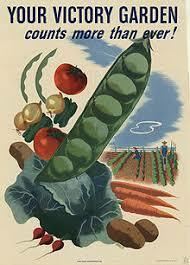 Plus civilians were being encouraged to plant Victory Gardens. Vegetables, especially starchy ones like potatoes and squashes, were easy to grow and again were great options to fill people up when meats and fats were rationed. After the war ended and rationing was no longer a thing the food pyramid was never updated. And so I, like most of us, was raised thinking that food pyramid was the way we were supposed to eat. However, prior to World War II most people did not eat like that at all. Most diets consisted of fatty meats, eggs and vegetables that were grown at home. Things like breads and desserts were consumed very little and mostly reserved for holidays and special occasions. Even if bread, biscuits or cornbread were served with a meal they were most often used at the end of a meal to mop up the gravy left on the plate. Flour and sugar were also very expensive at the time, so people didn't buy a lot of it, certainly not like we do today. Sugar was most often used for pickling and preserving food. And as far as junk food went, there really wasn't any. The nutritionist encouraged me to do my own research too and I did. I believe we owe it to ourselves to thoroughly check things out before we sign on and take it as gospel. Nothing wrong with asking questions or looking into all aspects of something first, regardless of what it is or who recommends it. I've done a ton of research on the ketogenic diet. I've read a boatload, googled a bunch and watched a gob of Youtube videos on the subject. What I've found is that everything I'm seeing is very consistent across the board. And the more I delve into it the more sense it makes. Why it is called a Ketogenic Diet is beyond me. To me it just seems like the normal way we should be eating. Going back to how it used to be. So now instead of utilizing the old and very well known food pyramid that I was taught in school and the new My Plate diagram that became popular during the Obama administration I now use something completely different. I have definitely chopped off the bottom of the food pyramid and turned that puppy completely upside down. No doubt about that. And now I do use the Keto Plate diagram. I also drink a loooooooot of water. When I was told to shoot for a gallon every day I was thinking, what?! For one thing I didn't think I could and for another thing I didn't think I should. Isn't that bad for you? But I can, and surprisingly, I do. So that is my take on things so far. Soon I'll share a post on some of the things I've been eating lately. I think you'll be pleasantly surprised. 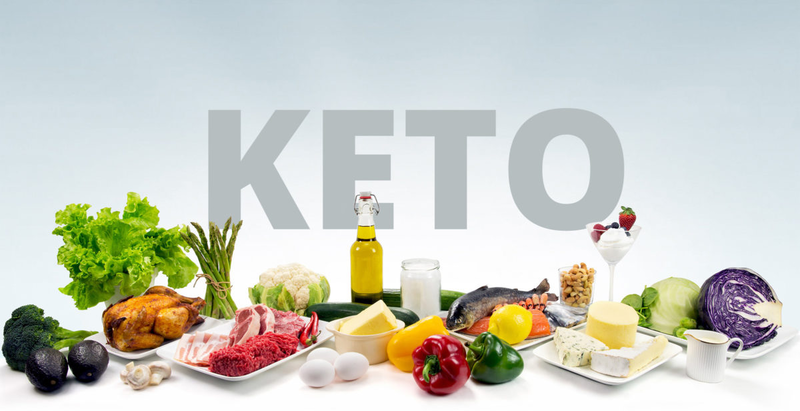 It's called a ketogenic diet because it will make your body go into what's known as "ketosis." If I remember my Anatomy and Physiology from college, this means you use ketones in the blood to fuel your body, not glucose? It will certainly cause weight loss, but over time, this is not a healthy place for your body to remain. Thank you for sharing your opinion Meg. I think, depending on a persons medical condition, it is much healthier for the body than a lifetime of chemical pharmaceuticals that do not help the condition. Everyone is different, as are their circumstances, and perhaps this diet is not for everyone. Or maybe it is. I’m vegetarian so I have to be on top of my proteins and iron. We all have something to keep track of, don’t we? I’m looking forward to recipes you share. That is very true Debbie. I'm finding so far it is all worth it! ketosis is not bad, ketoacidosis is a serious condition. ketosis happens every time your body burns its fat stores instead of using blood glucose from food. I have lost 35 pounds and kept it off and my A1c went from 6.2 to 4.8. Wow! Good for you! I've not been told that ketosis is bad for me, rather the opposite. Now ketoacidosis is really bad and can cause death, but I do not have diabetes and am not at risk for that, thankfully. If I did have diabetes I would definitely want to do keto to avoid unhealthy issues like that, I would think. Looking forward to seeing your Keto recipes! This is exactly what my doctor told me! I'm having to change my diet too and I am also supposed to just eat 3 times a day but make sure I have enough fat in my diet to help me feel full. Did he really?! You are going to be amazed! I'm telling you, I can't believe the difference after only a month. Crazy! I admit sometimes it is hard to eat the amount of fat, but I'm learning about some "sweet treats" that I can make to compensate. Keto desserts aren't so bad. Some are, but I'm figuring out some good ones and I'll be doing a post soon. My Grocery Budget 2018 - March Update - Part 2! My Grocery Budget 2018 - March Update - Part 1! Chicken Leg Quarters - High Mileage! I'm Turning This Tug Boat Around! February Thrifty Wrap Up & Some Big News!